Have you ever been shamed by a coach, mentor or supposed leader? They said or did something and you felt like you were punched in the stomach, you gasped for air and suddenly your body became one big wound? Did you wonder why did they have to do it? Did I provoke it in some way? Why when they are supposed to help me and support me, are they shaming me? Its not fair! – why did I take the position of a the less valuable person in this conversation? – why did I feel less worthy then the person who I perceived as having the qualities I lacked? – why did I feel I lack them at all? – why do I embody the identity of someone of less worth? – why did not knowing something put me in the unworthy box? – could I live without that person in my life? – why did I find them so important? – does their opinion of me matter at all? All of these questions and subsequent answers just washed the shame away, and brought back my integrity. I also did a session with a vocal coach who acknowledged and validated what had happened and helped me wash down the shame with my voice, which I found very helpful. I also started researching shame on the Net, found Brene Brown, and later bought her book Gift of Imperfection, which is healing to read and incredibly real, tender and validating. And now I am committed more than ever to going through shame when it comes, and even inviting it in, when it doesn’t. I welcome it because behind shame is love for myself. Big love for myself, my courage, my endurance, my will, all of which was heavily trampled on during my childhood. 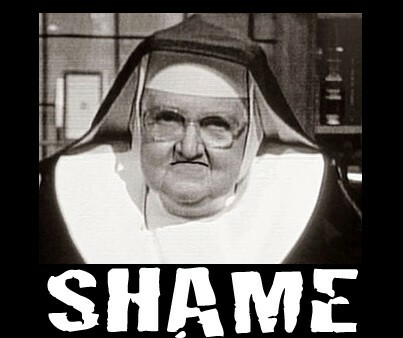 Shame brought me back to them and the gifts they carry. The biggest one being that I was NOT at FAULT in those situation growing up — my parents were! They were responsible for making me feel safe and sound, which I didn’t, so I felt ashamed instead. But that is not my shame, its theirs. And feeling it made me understand that and release the heavy energy from me. It’s not my responsibility to make my parents aware what they did either — its theirs. My responsibility is to no longer carry something that is not mine, to carry their shame instead of them. And so I come to an even greater understanding, one that is intrinsically freeing, which is that this shame and many other difficult feelings I experience are not mine, they are my parents’ feelings who could not feel it or process them on their own, so they evacuated it consciously or unconsciously on me. And being a child, of course I absorbed it like a sponge, that’s what kids do, that’s how they learn — the good and the bad. We as children have beautiful minds, and in order to belong and survive existential fears that we are faced with so early, our best solution is to adopt the imposed self-sabotaging behaviors because they bring momentary peace and security which we crave, and to keep processing the emotions of the parents, as that relieves them from their anxiety and allows them to give us some semblance of love and care, which we as children require. Looking at it — Aren’t we so amazing? Don’t we deserve respect and even admiration when we approach it from this perspective, instead of feeling shame and unworthiness? Yes, it feels good to be validated, it feels good to know we were so resourceful when we were young and we even did our parents job. But its also freeing to know we don’t need to do it any longer, we don’t need to act all the roles in our life. Its actually time for a new life, one of our own creation and divine guidance. One that feels good, one that feel light, one that feels NOW.